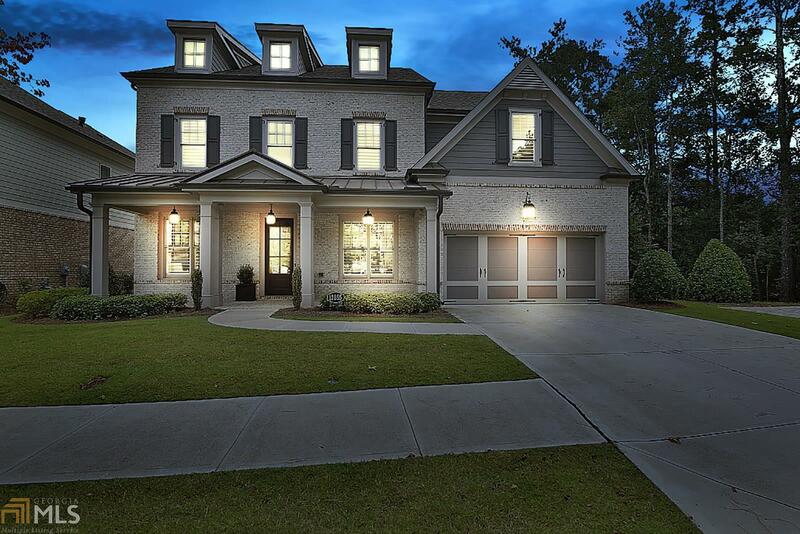 Absolutely stunning better than new home in the Parc at Cogburn. Cul de sac home set against a lovely community park, this home will WOW you! Rich crown molding, dark hardwood floors, light and airy open living plan with a perfect screen porch for morning coffee. There are 3 finished levels of divine living space, large master retreat on the second level with spa en suite. Full guest space on the upper level could be a bonus room, with full bath. This is a dream kitchen with quartz counters and custom cabinets with charming seed glass detail. Must see to love! Directions: 400 North. Turn Left On Windward Parkway. Cross Over Hwy 9 (Alpharetta Hwy). Turn Left On Cogburn Road. Community Just Before Cogburn Park On The Left.